Kia ora. That's the Maori welcome or hello. In a few days, 15 of us and 5 from other clubs will be heading to New Zealand for 20-30 days. edward perez will bring you a full report with slides at the June meeting. We hear the Kiwis are wonderful and the scenery spectacular. If you want to go to a small group dinner in members’ homes on March 9, be sure to contact Henny Houston. Check the flyer and more information elsewhere in this newsletter. Two members (Mary Williams and Felicity Sentance) are going to the Regional Conference in Albuquerque, NM March 21-23. Hope they learn some new information and make more regional FF friends. There is still time to register and go to this conference. Check our SW Conference page for information. Any member of Friendship Force may go to these conferences. In May, 12 members of our club will be going on the Iron and Ice cruise through Europe. I look forward to their report. 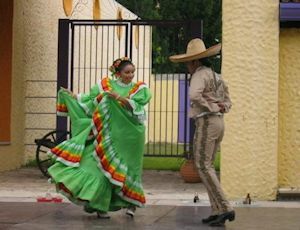 We are hoping for an inbound exchange with Tuxtla Gutierrez Mexico in late May. Michael Wald is the Exchange Director for this. Let him know if you can help with home or day hosting or if you can host a group dinner. In April, we will have a speaker and slides giving us information about this area of Mexico. Patty Niemeyer, Exchange Director for Columbia Cascades and Olympia WA outbound exchange, reports that she has 19 applications for the trip. Should be a great place to be in late July while the Texas heat is upon us. These two clubs will be return visiting us in 2015. And we should know by the end of February from FF International what the proposals are for our outbound and inbound exchanges for 2015. International is late this year getting out the proposals as they are breaking in a new "matchmaker." Remember to check the exchanges from other clubs on the FFI website as you can apply to go on these as well. Five new members joined us in Feb. Welcome! See bios elsewhere in this newsletter. Isabella Iverson, our intrepid Membership Chair, promises a new member party and information get together in April. 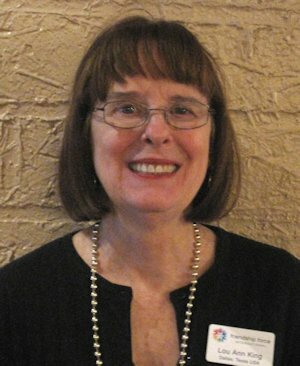 A big welcome to the Board to Lou Ann King who was elected Treasurer in January. Her bio is elsewhere in the newsletter as well. Lots going on and lots to come. Looks like a fun new year!!! Format: Usually the host provides the entrée and attendees bring side dishes - arrangements up to the host. No other cost. To participate: Thanks to those offering to HOST a dinner party. Would you like to ATTEND a dinner? Let Henny know by Feb 25 and she will arrange guest lists. Henny will contact hosts to confirm they are hosting and hosts will contact all who would like to attend. Location: La Hacienda Ranch, 17390 Preston Rd., Suite 100, Dallas. Reserve: Send your check made to Friendship Force of Dallas to Felicity Sentance by April 10. On January 12th Mary Williams gave a presentation on the recent International Conference in New Orleans. 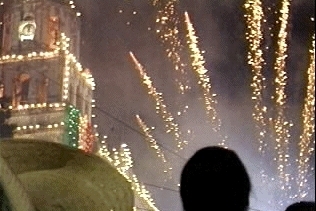 The culture of the host city of New Orleans was featured with additional music provided by edward perez from videos he took. Mary discussed the state of the organization and awards given, as well as an overview of the workshops available. She gave details of the Pallie Savoie presentation on how exchanges are arranged, especially informative for those new to the club. The dinner at Aboca's at Meadow/Central featured a New Orleans buffet and attendees enjoyed the Mardi Gras decorations and beads. In February the club dined at two restaurants - Cedars Mediterranean and Mon-Ami Cafe with interesting food and conversation. Leaving in a few days, Paula Rose is leading a group of 20 people to Taupo and Nelson New Zealand for what promises to be a very exciting exchange. Michael and Jackie Wald are working with Tuxla-Guttierez to set up an exchange for May of 2014. Contact one of them to help with the exchange. mwald999@gmail.com or jwald999@yahoo.com. 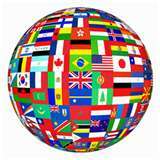 We have received our assignments for 2015 exchanges and the Board has apporved them. Now the clubs we are matched with will also need to approve. We should have some confirmations very soon. If you remember, our three choices for an outbound were Azerbaijan/ Republic of Georgia, Peru, and Mexico and we did receive one of these as well as two interesting inbounds for April and October. Vancouver will likely come to Dallas in the fall of 2015, and we hope that Dallas will later get an outbound to Vancouver. Good job and thanks to Patty Neimeyer. 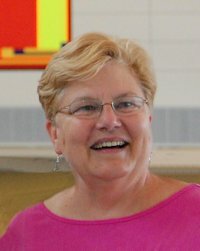 After taking over the position of Domestic Exchange Coordinator at the end of last year, Patty immediately set up an exchange between Dallas and the Columbia-Cascade and Olympia Friendship Force Clubs. This was a monumental undertaking as the Editor well knows. It is very difficult to set up an exchange with one club let alone two that occur back to back. There are 19 members signed up with room for one more. Contact Patty if you are interested: peanutpatti1@verizon.net. We suspect that this will turn out to be one of the best exchanges to take place in the last several years. The Board of FF Dallas per bylaws recently elected Lou Ann King to serve as treasurer. Lou Ann recently retired from 15 years in the credit card and banking business doing IT work. Her MBA is from the University of Tulsa. She is married to Galen King. They have three grown children and five grandsons. Two of her sons (twins) live in Hawaii and she and Galen plan to spend time there this summer. They have travelled extensively. Lou Ann and Galen will be making their first Friendship Force trip with the group going to New Zealand. They joined Friendship Force Dallas in 2013. Thanks for jumping right in and helping the club, Lou Ann. Judith Self has lived in Dallas since 1996 to be with her family. Since 1982, she has worked in Denton at Jostens, a company that produces "specialty" rings for several organizations, among them, military, N.Y.P.D., and Super bowl. She loves her work making rings. She has two grandsons who are great. When Eli Baron was first young he was an Engineer and developedsoftware. Then he became young for a second time, went back to school and got a degree in Counseling. One sunny afternoon he was sitting at the office and suddenly realized that he did not have time to work. He retired from his job and decided to enjoy his childhood. 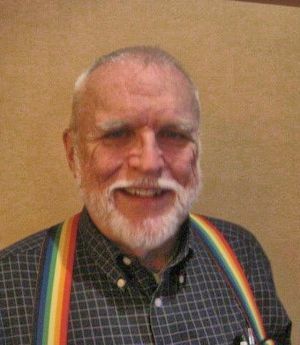 He is now exploring the world doing cross countries long distance bike rides, sometimes combined with hiking and kayaking. 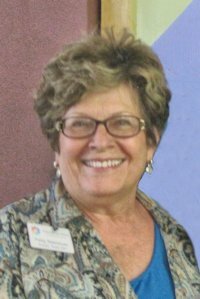 Nechama (Niki) Baron grew up in Israel and moved to Mexico City in 1967 to teach Hebrew in an Elementary School. She lived in Mexico for 16 years, learned to speak Spanish and met her husband there. They moved to Dallas in 1983 with a son and a daughter. Their five grandchildren were born here in Dallas. They are still getting adjusted to the Texas weather and the Texan English language. 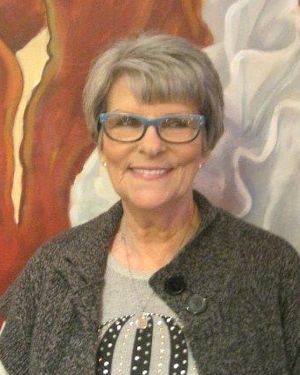 Since she retired from teaching she spends her time enjoying the grandchildren, reading and belonging to three book clubs, taking classes in community college, working out and traveling. She looks forward to having the opportunity to meet people from different parts of the world through the Friendship Force club. 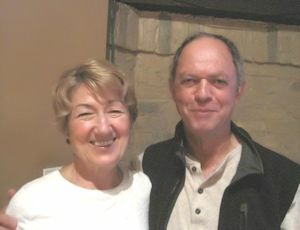 We will have Dave and Dee Ann’s bios and Dee Ann’s photo in next month’s newsletter. The Dallas Club is pleased to welcome the above new members that take us well over the 100 member mark! Remember to support our airport shuttle service. The passenger(s) make a donation to the club of $30 per ride ($40 north of Plano), helping our club. Directions are on page 42 in your yearbook to request a ride or to be a driver. Thanks to the shuttle drivers who have donated their time and the riders who have donated their money to FFD this year. Let your newsletter editor, Dale Klosterman (daleklosterman@sbcglobal.net) know what you are doing these days. And let Henny Houston know about anyone who needs a little “Sunshine” – hennyjack@att.net. Dates are set for March 21-23, 2014 in Albuquerque. This will be fun and informative – put it on your calendar! Cllcik for a flyer and application in a separate pdf file. If you are not able to access or print this flyer and want to attend the SW Conference, request the flyer/application from Mary Williams. Registration is still open, now at the $190 rate. Folks wanting to stay at the conference site, the Embassy Suites in Albuquerque, can still get the conference rate of $109 per day until March 3. Call 505-245-7100. The deadline to get your reservation in for a homestay after the conference is Saturday, March 1. If any of you who have not requested a homestay to date are still thinking of doing this, please give John Farris a call immediately at 505-797-2279. Planning is already underway for next year’s World Conference in Auckland, New Zealand. The conference will be held from October 14 to 16, 2014 at the Rendezvous Grand Hotel in Auckland. Registration will begin in early 2014. Click here for a conference flyer. 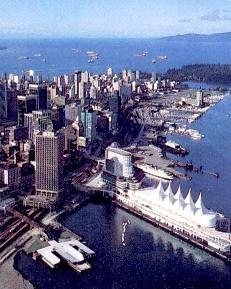 FFI is thrilled to announce that the 2015 World Conference will be held in Vancouver, Canada. The conference will take place September 11 to 14, 2015. More details will be available as the time approaches. Remember you are welcome to join other clubs on their exchanges if there is room. Please contact clubs well in advance, as an exchange may cancel if the Exchange Director doesn’t know about your interest. Among the many members who have done this was Hilda Klosterman who was able to go to Australia with the San Antonio Club. When Dallas went to Romania in 2005, there were six members from Dallas club and sixteen from around the country. See http://www2.thefriendshipforce.org/exchanges/ for more details, or go to the World of Friends Catalog that has a listing of all exchanges. See more exchanges on our Other Clubs page including some new ones to Cottbus, Germany in April; Kiel and Hamburg, Germany with cruise of the fjords and ports of Sweden and Norway in May; Beijing, Xian, Chongqing, Nanjing, and Shanghai, China in May; multiple cities across Japan in June; Mexico City, Taxco, Puebla, Jalapa and Oaxaca, and Coatepec, Mexico in October.